Hi Jane and welcome to The Phil Factor. For the most part the internet brings the whole wide world to our fingertips and allows us to meet people from virtually everywhere. As indie authors many of us realize that it’s not a competition, but a race everyone can win. There’s an audience for every story. In the spirit of supporting other indie authors we often “Like” each other’s Facebook pages. 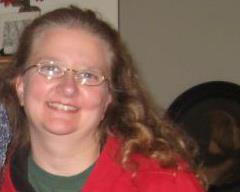 About eight weeks ago Jane McBride and I liked each other’s Facebook pages. I didn’t know Jane from the President of Australia. That could have been where she was from for all I knew. Over the last several weeks through reading each other’s posts we discovered that Jane was born in the city where I reside and her books are based on a fictionalized version of the small town she grew up in, which coincidentally happens to be quite near the camp that I go to on the weekends in the summer. Then I discovered that Jane has dogs in her books! Big ones! How could I resist that interview? TPF: Aside from there being dogs in your books, could you give my readers a general synopsis of your Ann & Henry series? Jane: My main character, Ann Bixby, is a 27 year old Mormon woman who is returning to the hometown of her childhood. She and her father had left some years before when her mother died. Now her father has died suddenly, and she decided she wanted to come home. One of the first things that happens to her is that she discovers a fellow orphan, a 180 pound Great Dane named Henry. She takes him without hesitating (and without really thinking). While out walking him, she meets Kyle Mendez, who fancies himself the town hermit. He is an Iraq War vet and suffers from PTSD and anger control issues. After their meeting, all three of their lives change for the better. TPF: Are the dogs’ personalities in your novels based on the personalities of your real life dogs, and if so, did you change the names to protect their privacy? Jane: The dog situations in the books are absolutely based on real experiences with my own dogs. When I was a little girl, we actually even had a Great Dane named Johann, and I have never been without a dog. Ann’s near psychic connection with Henry is a very real relationship I had with a shepherd/chow cross named Abraham. We always knew each other’s thoughts and anticipated each other’s every move. He was an insulin dependent diabetic and died of that disease when he was only 6. Rarely had I ever felt such profound loss and I tried to channel those feelings into the book and into her relationship with Henry. I never had a dog named Henry. He’s really the only dog in book one, but in book two we are introduced to a little Silky Terrier named Molly. Molly the Horrible. Molly is as real as they come. If she were human she would probably be certified insane, and everything the book Molly does is taken directly from the real life adventures of my Molly-if you were to read book two, that fact would frighten you, literally. And I did not change her name! TPF: Are there plans for any future novels from a pooch’s perspective? Jane: Well, there are two more books coming in this series. After that, I have no doubt that future books will feature dogs, but they aren’t thought of yet! 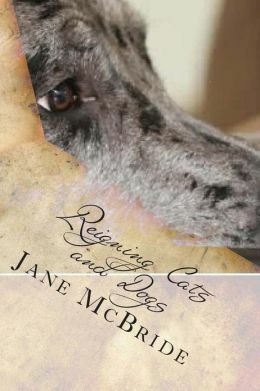 TPF: Is that your own dog on the cover of Reigning Cats and Dogs (Volume2)? Jane: No, but the Great Dane we had when I was growing up looked exactly like that. TPF: Could you talk about your dog rescue work? And if people wanted to donate to support that, is there a particular way they could online? TPF: I know you’ve got your third novel in the works, could you give the readers a little preview of what they can look forward to? 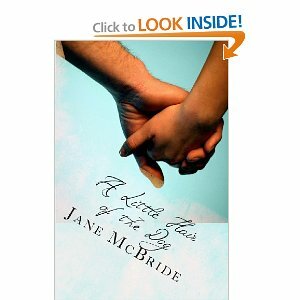 Jane: In book three, Ann and Kyle are continuing their journey together and have a young baby. Cantankerous, unpredictable Aunt Leona (age 89 and counting) has broken her arm and is with them until she gets her cast off. Cast and crew from the past books are all still there, with the addition of some new characters who are introduced when a stranger knocks on their door and turns Ann’s world on its head. That book is currently with beta readers and after suffering through some more editing, should soon be available (bites nails). Jane, thank you again for stopping by #ThePhilFactor. If you love dogs, romance and small town U.S.A. please take the time to check out Jane’s books on Amazon and follow her on Facebook. As always, if you like what you read here please support your indie authors by hitting the Facebook share button below. This entry was posted in author, interview and tagged A Little Hair of the Dog, Jane McBride, Reigning Cats and Dogs, The Phil Factor. Bookmark the permalink.